Happy Friday! 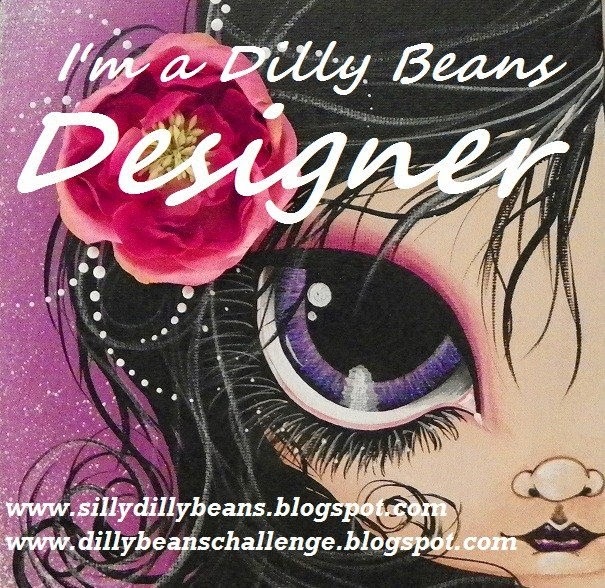 I hope that you are ready for the weekend and a brand new challenge over at Dilly Beans Challenge. 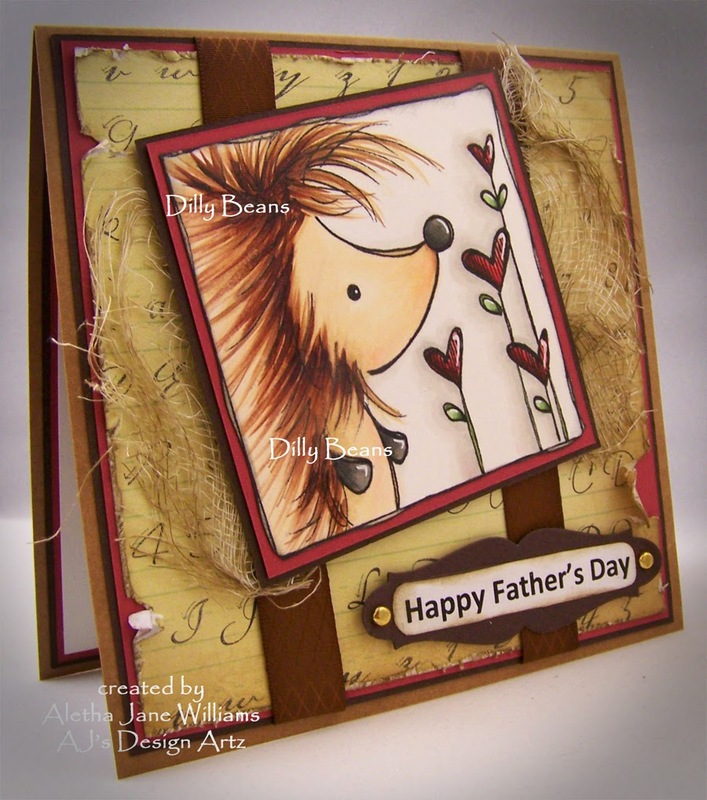 Our theme for the next two weeks is “Masculine/For Dad.” Father’s Day is very close. To enter, you MUST use a Dilly Beans image. Why wouldn’t you? 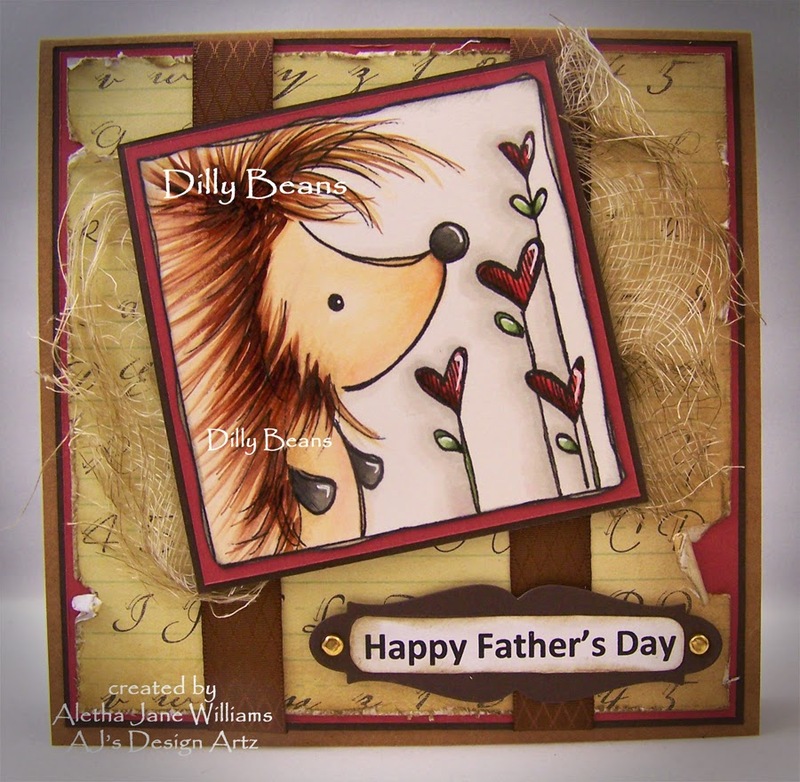 For my little card I used Megan’s cute little hedge hog, Crinkles. This one happens to be #363-Crinkles Heart Flowers Framed. Crinkles was colored with Copics and accented with some glitter pens and a white gel pen. My designer paper was DCWV’s The Timeless Type Stack. I layered everything with Stampin’ Up!’s Cranberry Crisp and Early Espresso cardstocks. For a little more texture I added some cheese cloth behind Crinkles. My sentiment was computer generated and layered on Spellbinder’s Grommet Tags. I also did a little distressing with a tool and Gathered Twigs Distress Ink. I hope you join us for our Dilly Beans Challenge. 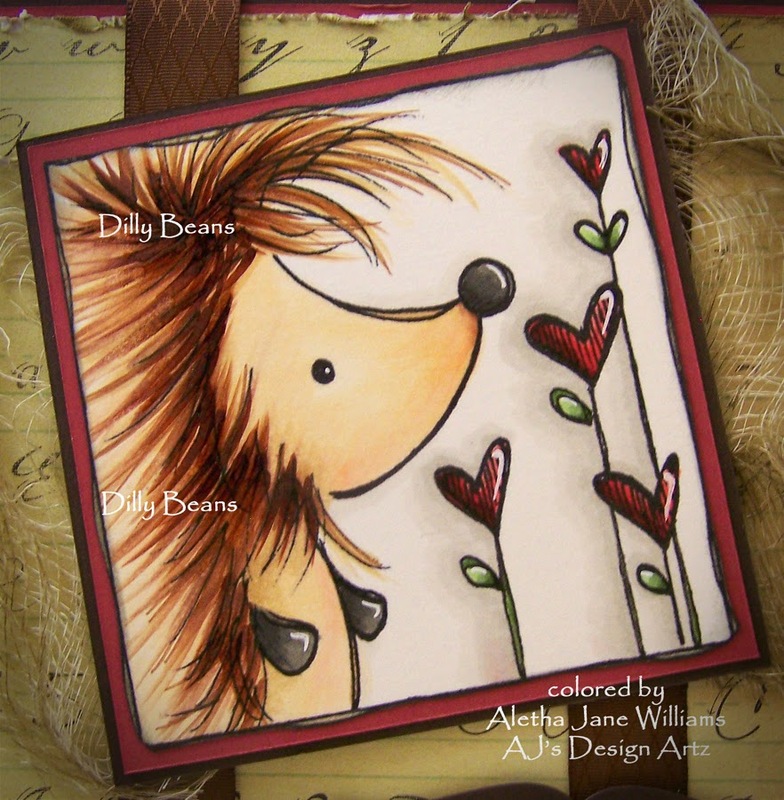 After you enter we would love for you to take a visit to our Dilly Beans Facebook group and post your little piece of art.